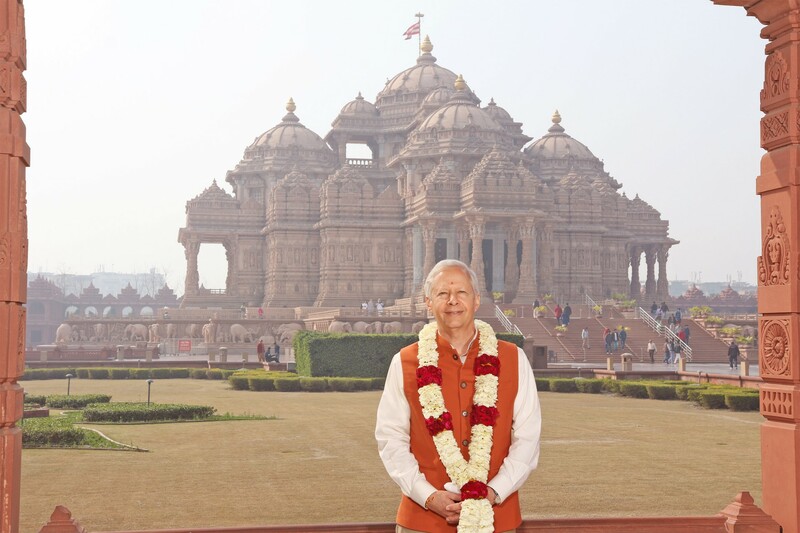 The United States Ambassador to India, Mr.Kenneth I. Juster, visits Swaminarayan Akshardham in New Delhi. Sadhu Gnanmunidas welcomes US Ambassador Juster traditionally with tying a kalva (sacred thread). Ambassador Juster performs abhishek of Shri Neelkanth Varni at Swaminarayan Akshardham. 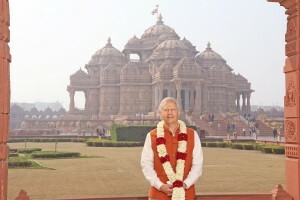 United States Ambassador Kenneth Juster at Swaminarayan Akshardham in New Delhi. 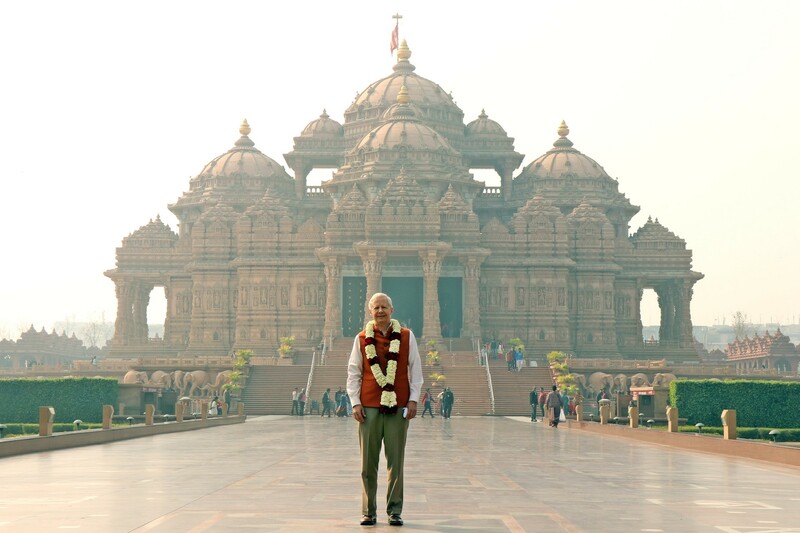 United States Ambassador to India, Kenneth Juster, visited Swaminarayan Akshardham for the first time, signifying the decades-long tie between BAPS and the United States. Ambassador Juster was greeted by Sadhu Gnanmunidas in a traditional manner on behalf of Param Pujya Mahant Swami Maharaj, the current spiritual leader of BAPS. During Ambassador Juster’s visit, he offered respects at the Swaminarayan Akshardham Mandir and performed abhishek, the ceremonial pouring of sanctified water from 151 holy bodies of water from across India on the murti of Shri Neelkanth Varni. He also toured the educational Sanskruti Vihar, a cultural voyage that displays 10,000 years of India’s heritage and contributions to society. “Thank you for a wonderful tour of the fabulous Akshardham Temple. This is a marvelous complex and provides a good overview of India’s history and culture, ” Ambassador Juster said. Ambassador Juster’s visit to Swaminarayan Akshardham continues a long tradition of BAPS’ friendship with the United States, where there are five traditional shikarbadh mandirs and over 100 centers and hari mandirs. Param Pujya Pramukh Swami Maharaj, the fifth spiritual leader of BAPS, first visited America in 1974, returning nearly 15 times and traveling across the country. Since then, BAPS’ presence in America has continued to grow and flourish with an emphasis on community service and charity under the guidance of Param Pujya Mahant Swami Maharaj, who most recently visited the United States in 2017.